Whether it’s your very first time at the doctor’s office or your first day with a new physician, we’ve all been a new patient somewhere. Sometimes switching doctors can be a stressful experience. At Albemarle Square Family Health, we’ve been helping new patients of all ages in Charlottesville for years. Here are a few tips to keep in mind if you’re switching physicians or are brand new to a doctor’s office. If you’re brand new to a healthcare facility, you will have to fill out paperwork. This may include basic information, insurance forms or even notices of preexisting conditions. 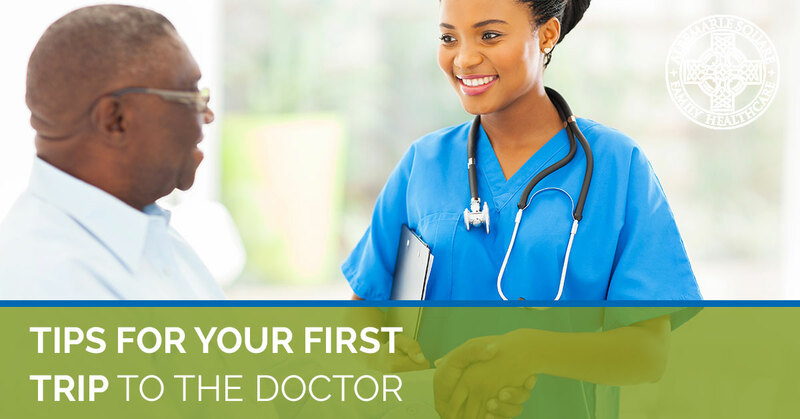 Before you step into the doctor’s examination room, someone will ask you for your information. If you’re merely switching doctors or healthcare providers and need to bring your medical and/or surgical history with you, call at least a week before your scheduled appointment to make sure the documents have transferred properly. Most of the time providers will allow you to fill out all documentation before your appointment online on their website. This will help speed up the process and get you in front of a doctor sooner. We at Albemarle Square Family Health highly recommend filling out your new patient forms online. This can include anything from known allergies, requested alternative therapies, or even just wheelchair accessibility. Letting your doctor and provider know about certain ailments or disabilities will make your visit to the doctor quick, painless and easy. A lot of the time this can be addressed in your medical or surgical records, which your doctor should go over before meeting you. But if you have any special requests before your visit that aren’t outlined or apparent in your records, we recommend explaining them directly to your healthcare providers early and often so no mistakes are made during your appointment. Sometimes healthcare providers will have several locations. If you don’t know which facility you’re supposed to go to then you may go to the wrong location or, if your provider is newer, they may not have an address or location listed on search engines like Google or Bing. This may lead to you getting lost or unable to find your provider. We recommend knowing where your appointment is going to be and then searching for that location online. If they have an address online then just plug it into your preferred device and you’ll be able to find it in no time. If they do not provide an address, call the front desk and ask where they’re located and get directions from where you’ll be traveling from. Albemarle Square Family Health has been a staple in the Charlottesville area for years, but if you need directions on how to find us feel free to contact us and one of our knowledgeable team members will be able to assist you. Some people don’t like needles. Others are afraid a certain procedure may hurt or are afraid to get an x-ray. Whatever your concern is, you can always call your provider before your visit and get a step-by-step synopsis of what your visit will entail. Doctors want to make you feel comfortable and safe during the entirety of your visit. If you have any questions about your appointment at our Charlottesville location, don’t hesitate to contact us. We pride ourselves on our compassion and patience from our doctors to our front desk staff. This is a great tip for anyone that has to fill out their paperwork in person before their visit, especially if it’s your first time seeing your doctor. Proper documentation is key in your care, which is why it takes so long to fill out. Doctors and providers need to know everything they can about you so they know how to help. If you know you have to fill out paperwork in our office, show up at least 30 minutes before your appointment. If you don’t know if you have to fill anything out, contact your provider to clear up any confusion. Always make sure to show up to your appointment early just in case some unforeseen circumstance pops up on your way to the doctor’s office. From the doctors, nurses, and the staff at Albemarle Square Family Health, we hope this has helped with any confusion you may have had. If you have any further questions please feel free to contact us. If you’re interested in switching to Albemarle Square, feel free to learn more about us or fill out our new patient forms and get a head start on the process.